Automakers take safety seriously because it sells cars, so they cram in more and more features to eke out a competitive advantage. In this article we cover some of the electronics safety aids licensed by manufacturers such as Bosch to the automakers. If you’re looking for your first car after passing your driving test, chances are that it won’t contain many, if any, of these technologies, but they’re found in mainstream cars more and more frequently. A head up display provides information projected into your field of vision. There are third-party systems available (see video below), but more and more cars are coming with them built in. The type of information that can be projected includes navigation directions, the local speed limit, your speed, and information from the trip computer. The system has the advantage that you don’t need to take your eyes off the road to look at the information. Lane Departure Warning, also called Lane Keep Assist uses a camera in the dashboard to look for lane markings. If it detects markings then it will use the vehicle’s position to tell whether you are drifting into another lane, in which case it will provide audio (e.g. a beeper) and/or tactile (e.g. vibrating steering wheel) feedback to alert the driver. Some systems will apply pressure to the steering wheel to help keep the car in the lane; on a fairly straight motorway, you can almost drive with your hands off the wheel. Even some new trucks have this system. If you activate your indicators then the system is suspended temporarily until you deactivate your indicators – this is because indicators usually mean that you intend to change lanes. The system can be a little sensitive in city environments if there are a lot of lines on the road. Adaptive cruise control works the same as regular cruise control, plus a radar in the front of the car scans the road ahead for slower cars. If you catch up with another vehicle and can’t overtake then your car will slow down to maintain an appropriate distance between you and the vehicle in front; once that vehicle moves out of the way your car will accelerate back to its original speed.. Usually there are 3 or 4 preset distance settings representing 1, 2, 3 and 4 seconds. Sometimes Adaptive Cruise Control comes with automatic braking so that if the vehicle in front brakes heavily your car will provide some level of braking, too. Every vehicle has a blind spot – an area which you can’t see without turning your head. Blind spot monitoring uses sensors on the sides of the car to detect vehicles in your blind spot. If you start to indicate in the direction of the vehicle in the blind spot a light will flash – usually in the wing mirror or A pillar – to warn you. Rear cross traffic alert is similar to blind spot monitoring – it warns you if vehicles are approaching as you are reversing. New cars come with two keys and on many models each key can have its own settings. This means that if you are shorter than your partner, when you get in the car you can have the seat and mirrors automatically adjust for your settings, and vice versa for your partner. Other settings are frequently included such as whether you want the lights to remain on for a short period of time after you’ve locked the car. Most vehicle ranges now come with at least one car that has keyless entry and push-button start. This means you can leave your keys in your pocket. As you can see in the video above, the Toyota has automatic boot opening and closing. This is useful when you have a large load of shopping, or if you are shorter and can’t easily reach the tailgate to pull it down. 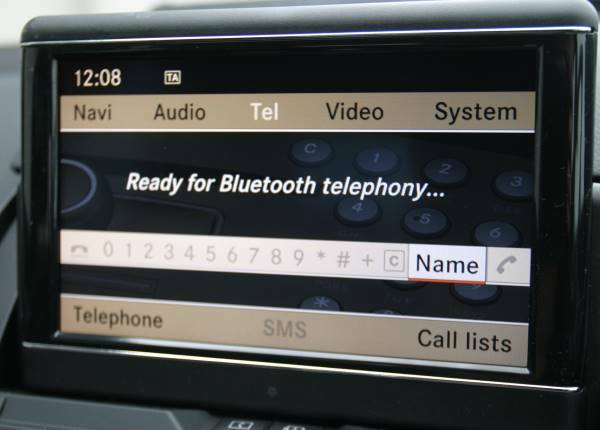 Cars are moving more towards integration of apps from your phone, but at the moment the best way to stream radio and talk on your phone is to use Bluetooth to connect to the car. Not all cars will let you stream audio, but almost all new models now will let you connect your phone so you can use it hands-free. Some systems are more comprehensive than others, downloading your address book and letting you dial on-screen. Others are much more simple and only useful for answering incoming calls. A vehicle doesn’t have to be a hybrid to use the energy from braking to help with the car’s performance. Systems such as BMW’s EfficientDynamics captures braking energy for use in helping keep the vehicle’s system running without having to resort to using power from the engine.